The company has cemented its presence among the reputed Manufacturers and Suppliers of Madurai Gold Granite Stones from Rajasthan. 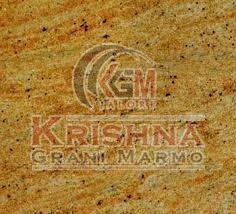 The Madurai Gold Granite Stones we make available are known for their fine polish and durability. Stringent quality-tests ensure that only defect-free i Gold Granite Stones reach the buyers. Bulk orders of the Stones are processed by us as per the specific requirements of the buyers.